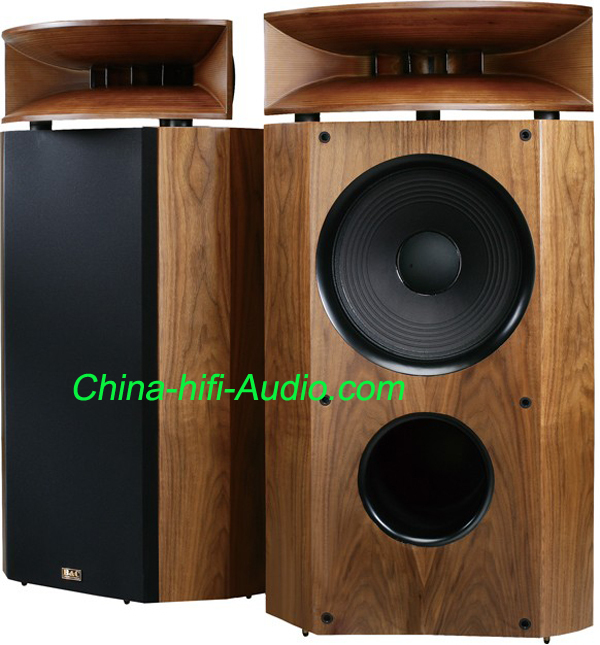 The price is for a pair of Opera M15 signature Horn loudspeakers, come with full wood packing. a) The M15 is a two-ways speaker equipped with a massive 15-inch/ 38cm paper-cone woofer with a cloth surround and an extra ring forth the load . It uses a large wooden horn tweeter crossed over at 1000Hz to a 15" cone woofer. A 3" dome compression driver at the rear drives the pressed-wood horn that sits on an castanet woofer module, both with matching fine-furniture-grade walnut veneers. Similar as Altec but better than their metal horn design , the horn is not physically attached to the woofer module. b) M15 SE have also modified the part of woofer by creating an extra ring forth the load and gives mass weight to the bass.The modified tweeters bring better frequency response. Both linearity and stability are improved by using a specialized cone imported from UK . The voice coils are also tailored and imported from UK as well, of which both copper and alum enlaced together, smaller space required, and can move in a smaller magnetic field to gain a higher magnetic energy as well as efficiency, the withstanding power has also been increased too. c) With above improvement, the high frequency of M15 SE is more complaisant, the mid frequency is fuller and the low frequency is deeper. At the same time, It has possesses a better analytic and more detailed sound.